The HA-2 is the second model in the Bighead series and is a step up model of the popular HA-1 Bighead with added technology and features. The HA-2 is a high resolution USB audio interface that supports PCM playback with up to 384 KHz sample rate/24 bit resolution. On DSD playback, sample rates of 2.822MHz and 5.644 MHz are supported, making it the ideal choice for musicians and engineers that desire high performance and the purest sound quality. 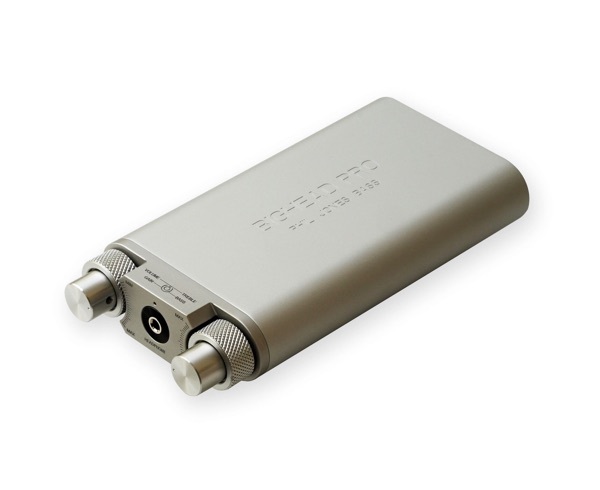 It is a rechargeable lithium ion dynamo that is ideal for use in practice or recording situations. It also functions as a headphone booster amp as well as a preamp to drive powered amplifiers. The HA-2 has both passive and active instrument inputs with a 2 band EQ that is ideal for guitar and bass, yet versatile enough for use with other instruments. It has an internal lithium-ion rechargeable battery that is fed by its USB jack, so any computer or appropriate cell phone charger can charge it in less than 3 hours, but it can play for up to 8 hours. 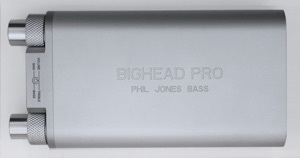 Phil Jones Bass H-850 (list £89) - In stock now! When it comes to headphones, not all are suitable for bass instruments. Many may sound good for music but plug them into the headphone jack of a bass amp and you will soon find their limitations. 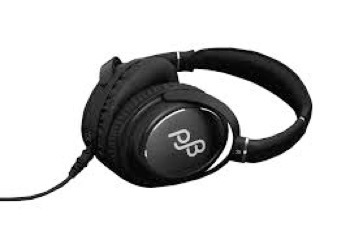 PJB H-850 headphones are a result of years of auditioning headphones for this purpose and analysing the mechanisms of what works for the reproduction of music and bass. Utilising high power 40mm neodymium magnets and closed back acoustic loading, we were able to achieve a superb sound reproduction for both music and bass instruments. These headphones are lightweight and therefore can be worn for hours with comfort.They have superb acoustic isolation from external noise and headphone bleed through for recording application. 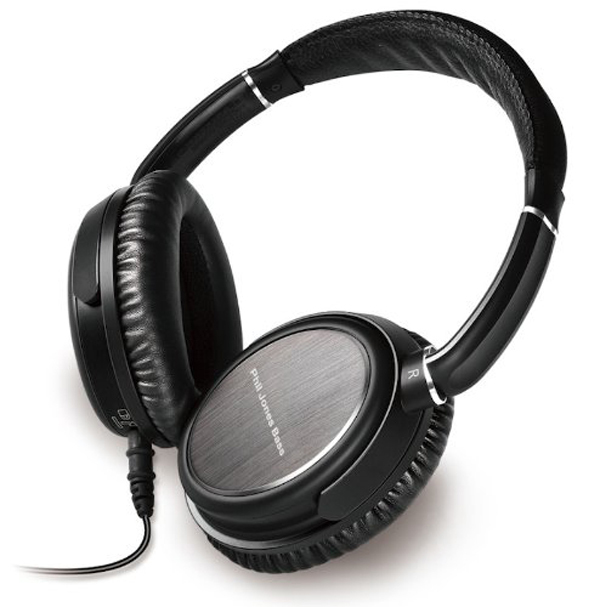 After you try the H-850 you will soon realise these will be your favourite headphones. If you have a big head or not, you will love the PJB BigHead! Products find their way to me for review in a variety of ways: some come as the result of a press release or are spotted at a show; others arrive as the result of a phone call from a manufacture or distributor; and very rarely does the process involve going to a jazz gig, clocking the unusual rig being used by the celebrity bass player over whom one’s better half is going all silly, finding out who makes it, realising he has a illustrious past (and present), and finally noting that the same company also makes an intriguing set of headphones. OK, so not very rarely – just this once. 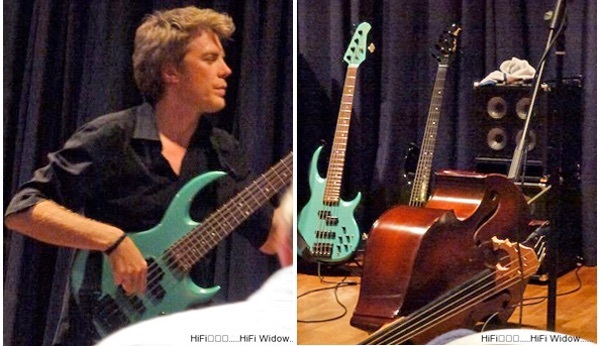 We went with a friend in the industry to see composer/bandleader Kyle Eastwood (yes, son of…) play with his band for a second time at the excellent Watermill Jazz Club in leafy Dorking. Mrs E was even more starstruck than she had been the first time, so while she was getting her CD signed during the interval between sets, industry friend and I fell into conversation about the bass amp and speakers Eastwood was using. Y’see, Eastwood – like a number of leading bass players – uses not a huge rig with a quartet of 12in drivers in the cabinet, but a neat little set up using multiple miniature drivers to give the air-shifting power of fewer big cones, but without all the looseness and challenges of stopping dinner-plate sized diaphragms. Interesting, and boy did the set-up sound good, so the morning after the gig before was spent in some internet research and – aha! 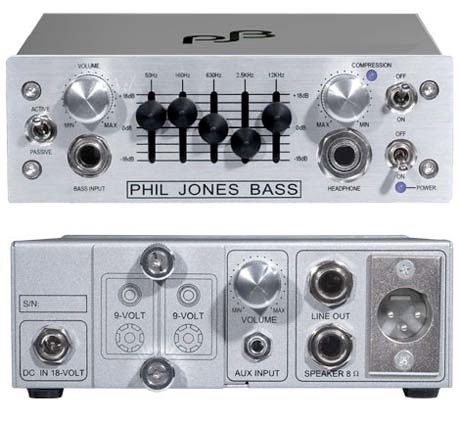 – the rig was from Phil Jones Bass, and those little 5in drivers were the PJB NeoPower units: neodymium magnets to give the motor power, proprietary cones, and said to be good from 25Hz through to 15kHz. Yes, that Phil Jones: British, bass player, founder of Acoustic Energy (in small premises just up the road from my grandparents’ house), designer of classics such as the original AE1 (with even smaller woofers!) and now based in St Louis, Missouri, where he runs Phil Jones Pure Sound, encompassing both the PJB pro equipment and the AAD speaker brand for home use. And he explains the small driver philisophy like this: ‘Traditional bass myth glorified large drivers. On the surface, this seems sensible. Large drivers equal big sound and low bass. But look more closely. 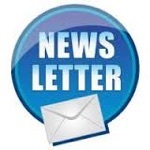 Like a heavyweight fighter, the big driver is inherently ponderous. It isn’t quick on its feet. It’s slow to start, even slower to stop. Its large cone is prone to flexing and distortion. It’s a kind of Neanderthal, brute and primitive – a slightly dazed clobber. Phil Jones Piranha cabinets bring the true science of bass into the 21st century. They use large numbers of small drivers. How can small drivers reproduce bass? It’s surprising but pretty straightforward. Their output simply drops off more rapidly with distance. But parallel enough of them and they’re like a swarm of bloodthirsty Piranhas. Now their combined surface area equals or exceeds that of a single big woofer. ‘More importantly, an armada of motors powers this aggregate compound driver. The combined voice coils and magnets of all [the] individual drive units exert far superior control than the single motor of the equivalent giant woofer. ‘By sharing the workload, each driver operates only in the optimised part of its power band where torque is greatest. It never approaches redline where dynamic compression limits all conventional designs like the proverbial brick wall. Now I don’t play an instrument, let alone a bass, but even I find the PJB pro gear irrationally covetable. There’s the little Briefcase amp/speaker combo, using two of the PJB drivers and a 100W amp in a package just 15.5 x 6.7 x 17.3 inch (H x W x D) and with a carry handle on the top (hence the name), or the even smaller Bass Cub (right), with a similar driver/amp configuration in a package weighing just 6kg. 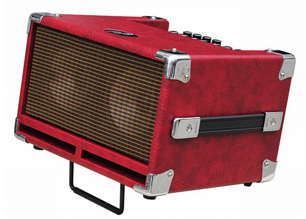 And let’s not go there with the striking Roadcase model, with a 750W amp and no fewer than twelve of the PJB drivers (ten firing forwards, two angled upwards). Think ‘bass amp’ and look at all those drivers and you’d think it was a tower, whereas in fact it stands less than a metre tall. And he has a pair of headphones, designed for bass-players (but not just for bass-players), which is what you see before you here. The same company behind all these bass amps and speakers, and systems for other instruments, too, has users including the aforementioned Mr Eastwood, Pino Palladino, Nathan East, pianist Bob James – and makes the H-850 headphones, yours from around £80. Hence the H-850s, which have a frequency response down to 20Hz (and up to 20kHz), will handle a 1W input, and deliver a maximum sound pressure of 96dB. That bass response is made possible by the use of high power neodymium magnets and a closed back design, the latter bringing the twin benefits of good isolation from external sound, and minimal outward leakage. Of course, those qualities serve the headphones well in a studio environment, or for bass-players wanting to rehearse without waking up the neighbours, but the great thing about the H-850s is that they work just as well as all-round listening ‘phones, that hefty but fast bass being far from their only trick, and integrating extremely well with the rest of the frequency range. In fact, I’d go so far as to say that if you’re considering a pair of headphones promoted as delivering serious bass, let’s say from a company just bought for billions of dollars by Apple, think again: whereas the cans with the prominent ‘b’ on the side deliver a seriously coloured sound, all about ‘whoompa whoompa’ flabby bass and not much else, the PJB H-850s give you all of that bass, but with much better control and impact, along with a clean, involving view of the rest of the music, too. I’ve been trying the H-850s with a range of headphone outputs, from direct connection to my iPad mini and Fiio’s X3 player, via Fiio Mont Blanc, Trends Audio PA-10 and Schiit Magni headphone amps, and from the very good headphone amp built-into the Naim Supernait integrated amp. From all that listening, and with the note that these headphones really benefit from a spot of serious caning from brand new, I can report that while they have more than enough sensitivity for use with portable devices, they really kick derrière when used with an amp able to deliver a bit of juice. Get that right, and they deliver a solid, growly bass, as exciting with electric instruments as it is with orchestral ‘floorstanding fiddles’. And that means big orchestral works sound a bit special through these headphones, not just hard-hitting rock or lovingly-recorded jazz bass. In no small part that’s due to the open and attractive midband and treble the H-850s can offer, giving plenty of detail and insight without any hint of shriek, spit or excessive sharpness: instead they sound clean and highly informative, while really drawing the listener into the music being played, whatever the genre. I’ve enjoyed everything from Mahler to the Metallica set from Glastonbury on the PJBs, while a appreciating little touches such as the comfort of the fit, and the twist-lock to hold the detachable 3.5mm-stereo-plug-terminated cable in place on the headset (they come with the usual 6.3mm adapter for this with amps with big sockets). They’re well finished, seem pretty much bombproof in use, and will go as loud as any of us could ever sensibly want without collapsing into distortion – although that clean, tight, detailed bass may just occasionally tempt you to inch the level a little higher! • A high quality fully functional Active bass DI/pre amp. 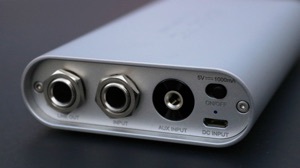 • Headphone amplifier - powerful enough for any headphones. 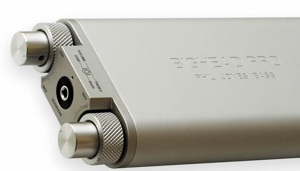 • Stereo input and volume control for CD/MP3 players etc. •Dual inputs for active basses or vintage passive basses. •10 segment LED input VU meter. 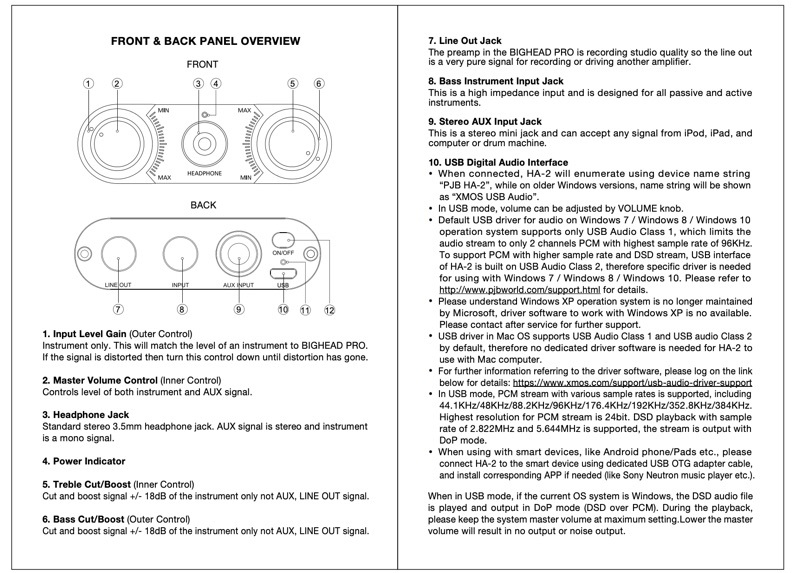 •Input level control +/- 10dB. •Specifically designed bass compressor/limiter 3-1 compression ratio. 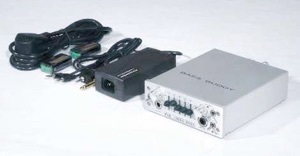 •Front & rear panel XLR balanced line out with pre-post EQ switch. •Variable output levels on filters. •¼ inch thick CNC machined aluminium front panel. •Solid aluminium CNC machined control knobs. •Dual output jacks on pre-amp out and crossover out. •Volume pedal output jack for PJB volume pedal. •State of the art, low noise, wide bandwidth and high dynamic range electronics.